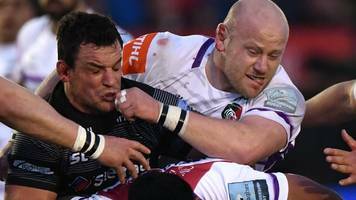 The Newcastle Falcons are an English rugby union team that plays in the English Premiership. The club was established in 1877 as the Gosforth Football Club. Around 1882 the club merged with the Northumberland Football Club and briefly assumed their name until 1887. In 1990, the name was changed to Newcastle Gosforth and the club began to play at Kingston Park stadium in Kingston Park, Newcastle upon Tyne. 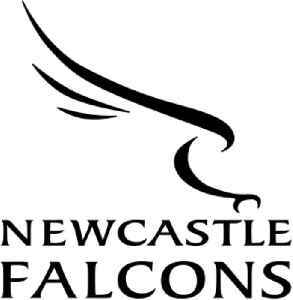 In 1996, following the start of "open era" the club briefly adopted the name Newcastle Rugby Club before adopting its current name.